Atlanta is a better sports town than Boston. Period. And I don’t even like having sentences that simply read, “Period.” But to open this article with anything less definitive, less concise or less accurate would be a disservice to the loyal readers of this online watering hole. “But Boston has more titles than Atlanta,” the Massholes will surely contend. I’ll yield that point, but not before posing a question. When did sports become all about numbers? People who waste time counting things rather than enjoying the moments are precisely what’s wrong with the sports world. Advanced analytics, PERs, DVOAs and BYOBs have diluted every bit of the art that once defined sports. Just ask Meryl Streep. There’s actually some underlying truth to her observation that football is not “art.” It’s not. At least not according to the Bean Counters in Beantown counting championships. Football—and every other sport for that matter—is math in Boston. I hate math. Real sports fans hate math. In Atlanta, football is art. Atlanta fans don’t love the Falcons for the number of championships they’ve won or for the PSI figures representing deflation of balls or for the number of hours between the time their QB found out his GF was pregnant and the time he dipped out or for the number of people their former tight ends killed. No, Atlanta fans love the Falcons because they passionately enjoy the art of sport. Advantage: ATL. And that theme—the edge for Atlanta—isn’t just a football thing. It’s across all sports. 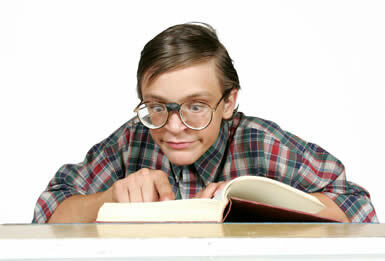 Typical Boston sports fan obsessing over numbers. Nerds will point to the Red Sox and their 93-69 regular season mark in professional baseball last season as proof of Boston’s “superiority.” If you’re an analytics guru that probably does seem like more than Atlanta’s 68 wins. 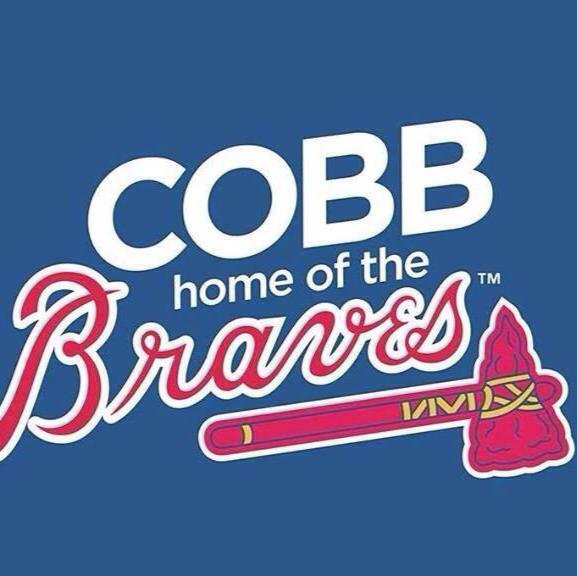 But Braves fans value things other than wins. Atlanta fans value…well…value. With a payroll of $166,770,400 a year ago, the stuck-up, private school punks from Boston cashed in on their daddy’s credit card in a major way as the Red Sox paid $1,793,230.11 per victory. The humble, grinding, hard-nosed, never-given-anything Braves only paid $1,195,424 per W. Sports aren’t just about the money in Atlanta. Take Atlanta quarterback Matt Ryan as an example. Matt Ryan loves football. He loved it so much that he agreed to play the sport for free for several years in Boston. How’s that for passion? Unless you’ve played football at the collegiate level, you can’t comprehend the sacrifice Ryan made just to toss his beloved pigskin. But after four, arduous, miserable years in the sports-unfriendly town of Boston he just couldn’t take it any more. He took a job playing football in Atlanta. Sure, he’s making money but this was never about money for Matt Ryan. He would have kept playing for free if Boston wasn’t such a crappy town, probably. And even though he is getting paid, he’s working for a discount compared to Tom Brady. Brady took home nearly $29 million in cash this season. Ryan, a lover of sport, made less than $16 million. How’s that for money ball, Billy Beane? Oh that’s right! Billy Beane wisely turned down overtures from the Red Sox back in 2002 so he could stay in a real sports town (Oakland). How about that? Now that’s real foresight by Mr. Beane. After all, most of Boston’s sports heroes get out of town as quickly as possible. Beane skipped that part of the process by avoiding Beantown altogether. Think about it. Larry Bird retired at the age of 35 (from the Boston Celtics) just so he could come back out of retirement with a less flashy job back in Indiana. How insane is that? He left the spotlight in an alleged sports town so that he could take on a behind-the-scenes role in the midwest. That would be like Ryan Gosling capitalizing on whatever the hell La La Land is, retiring, leaving Hollywood and resurfacing in Nebraska as a guy who works lighting on local car dealership commercials. That would never happen because L.A. is actually a viable contender as a “good town for celebrities and movie stars.” Boston, however, is not a good town for sports. Just ask Larry Legend. Larry wasn’t alone. Hell, the entire Boston Braves baseball organization eventually found its way to a real sports town (by way of Milwaukee) before making their way to an even realer sports county (well, that part might not be true). And mass-exoduses aren’t just a thing for athletes and teams from Boston. It happens to sportswriters too. Bill Simmons is literally nicknamed “The Sports Guy,” and he left Boston as soon as he could. Even media personalities who criticized Simmons for leaving eventually came to their senses and left Boston for New York City. But what about all those SPORTS in Boston? These teams are great at everything! I bet the 17,565 people who attended Bruins games (on average) during the 2010-2011 season sure appreciated that Stanely Cup run. It’s wild that one out of every 38 Boston residents checked out those games. Oh, but I shouldn’t poke fun of hockey game attendance, should I? After all, Atlanta lost the Thrashers because attendance was so poor. Yeah, Atlanta (a real Sports Town) did dump the Thrashers after the team averaged just 13,469 fans per contest during the 2010-2011 season (the same year as the Bruins’ title). When that happened, the Thrashers were still pulling one out of every 33 Atlanta residents to home games. Atlanta was putting more butts in seats per capita than the Bruins but that wasn’t up to Atlanta’s standards, so GTFO. But Boston fans really “get” sports. Boston is great at everything. Just look at the Celtics. Right now the Celts are sitting on a 27-18 record, well ahead of the Hawks’ 27-19 mark. Further, the Celtics are absolutely owning the Hawks in head-to-head play this year, boasting a 1-0 record thanks to a 103-101 win. Can’t compete with that success. I mean it’s clear why teams from Atlanta are so incredibly intimidated by Boston sports teams. It’s just hard for us Atlanta fans to not be daunted by Boston’s sports prowess. After all, Boston hosts all kinds of major events. Oh, wait. I’m thinking of Atlanta. But I’m sure all these events are in Atlanta because it’s such a crappy sports town. I’m sure they’re not in Boston because the selection committees just don’t want to make things too much nicer for such a great sports town. But on to the game at hand. First things first: This “dynasty” we hear about from New England? I find such chatter to rank somewhere between hilarious and incomprehensible. You do realize that the Patriots are one loss to the Falcons away from having 1-3 record in the Super Bowl over the past 12 seasons, right? Do you get that Bostonians? And the Falcons are simultaneously one win over the Pats from matching Belichick’s total number of titles over the past dozen years and quadrupling his winning percentage in Super Bowls over the same time period. Will the Falcons have a Dynasty if they win? Apparently anyone with a Super Bowl title over the past 12 years can claim a dynasty. So in that regard, I personally am one Lombardi Trophy shy of having a dynasty. Calling the Patriots a “dynasty” is like saying American Idol is the most popular show on television. I’d listen back in 2005. But I was also in high school then. But who am I kidding. The Falcons don’t really have a chance against the Patriots. Oh, those dominant Patriots! You know, the ones who have been outscored 300-249 in 13 all-time match-ups with the Falcons. No one could ever match Boston’s football prowess—not this year! No one except the mighty Seattle Seahawks (who lost to the Falcons 36-20 just a few short weeks ago) and the mighty Buffalo Bills (who canned their coaching staff). Oh, who could every beat those 2016 New England Patriots? May the best Sports Town win. Posted on January 26, 2017, in Blog. Bookmark the permalink. Leave a comment.